Spring is getting close, which means it’s time to get our hands in some SW soil! 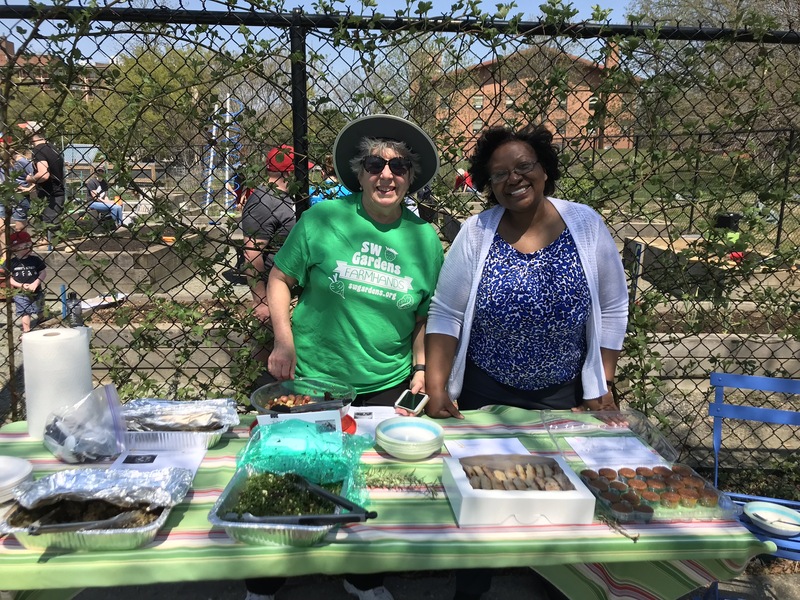 SW Community Gardens is excited to host our 6th Annual Annual Spring Kick-off Event, April 20th, from 11am-3pm in Lansburgh Park (1098 Delaware Avenue SW). 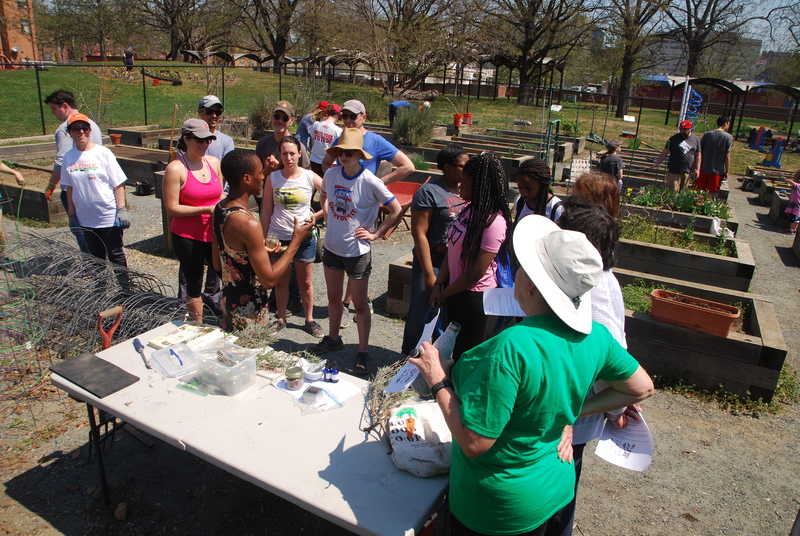 If you didn’t know already, SW’s only community garden is located in Lansburgh Park. A group of neighbors committed to bringing communal gardening to SW established the garden in 2013. 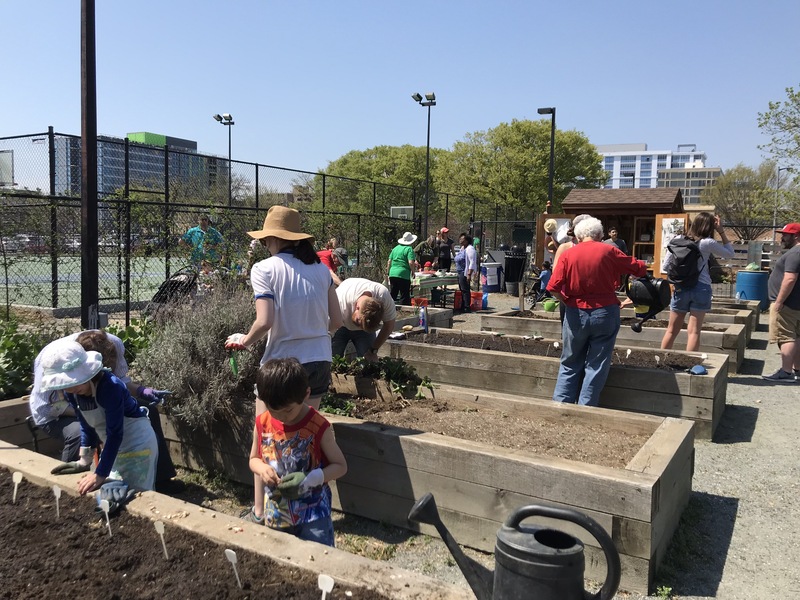 The garden is composed of two sections: one for individual plot owners and a communal section open to anyone during our regular work days, which are Wednesdays 6-7pm, and Sundays 4-6pm. Throughout the gardening season, we plant, have cooking demos, compost, paint, hang out, and of course, wedding, which no garden can go without! The Spring Kick-off represents the garden’s opening for the year, and the beginning of our regular work days. In previous years, we’ve held a variety of workshops, planted, and conducted art projects, all with some funky good tunes playing in the background. 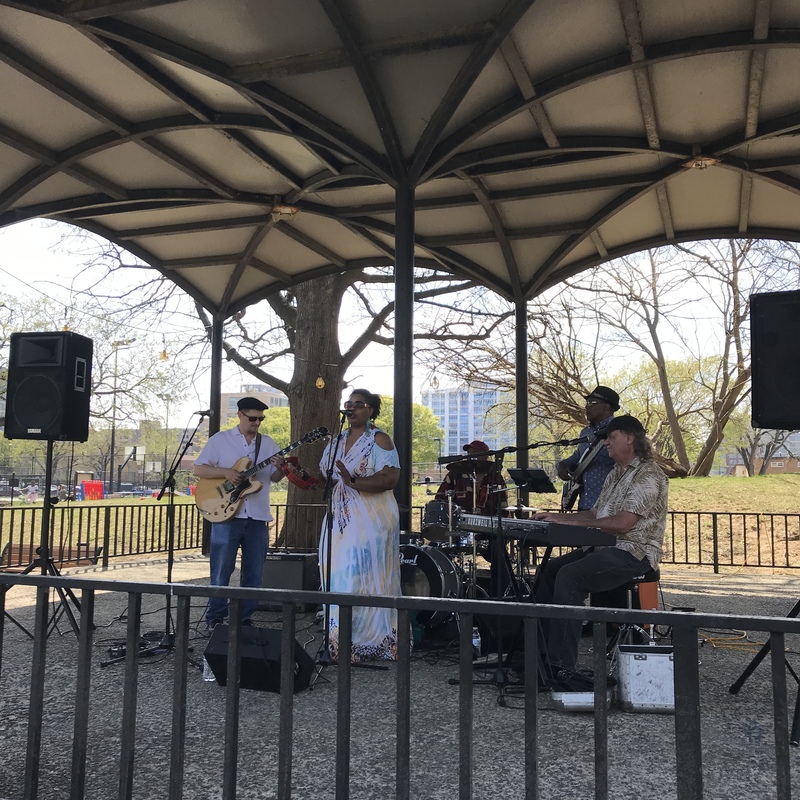 Last year, we won the first micro-grant, Pocket Change, sponsored by the Southwest Neighborhood Assembly and the Southwest Business Improvement District to transform our kick-off into the SW Earth, Arts, and Music Day. 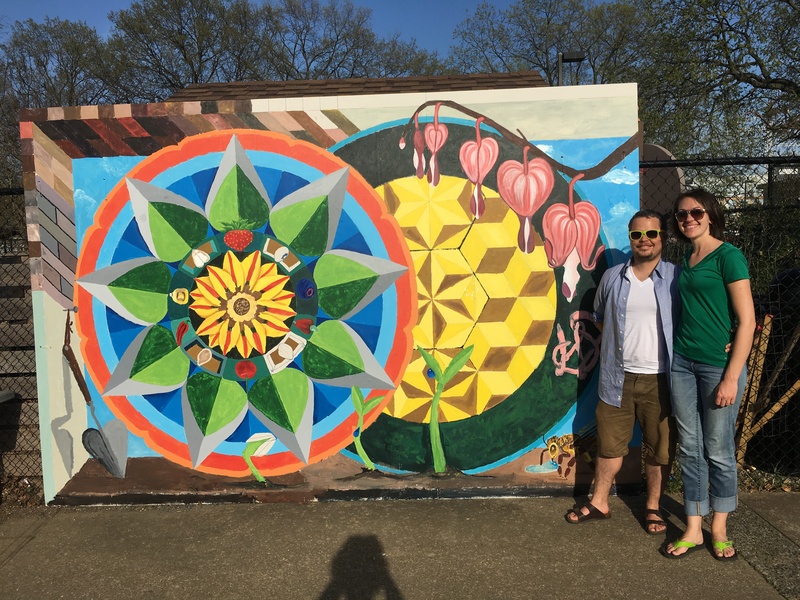 Muralist, Eric B. Ricks (@versatilevice), facilitated a garden-themed paint-by-the number mural that sits outside the garden now, then to wrap up, Carly Harvey’s Kiss & Ride band (@carlyhmusic) performed some funky, bluesy numbers to soothe the soul. 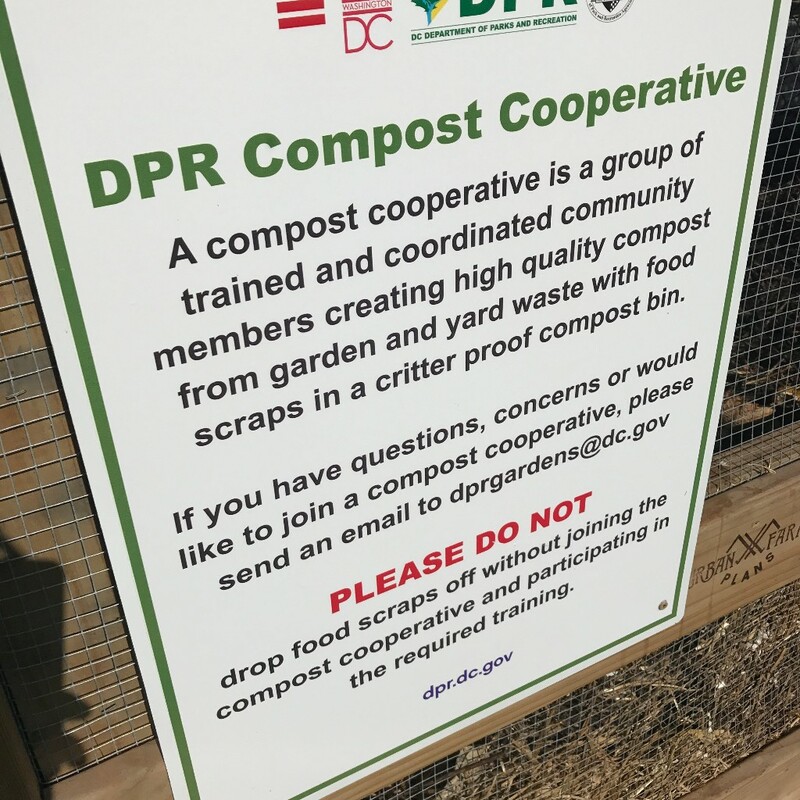 This year, among other activities, we’ll have a compost workshop, plant the communal beds, and art activities facilitated by SW’s own, Chris Williams, better known as @crazyuncledc (you may have seen him at the SW Farmers Markets or during the Friday Night Markets). It’ll be a great time and we hope to see you there! You can get in touch with us via Facebook (facebook.com/swgardens), Twitter (@swgardens), and Instagram (@swgardensdc). SW friends and neighbors, we’ve been invited to present our proposal for a SW Earth, Art & Music Day at this event for a chance to win $1000 to make it happen! Attendees are asked to make a $5 donation, listen to proposals, then vote for their favorite over a meal. Save the date and make it if you can! To get a head start, you can read our proposal here. 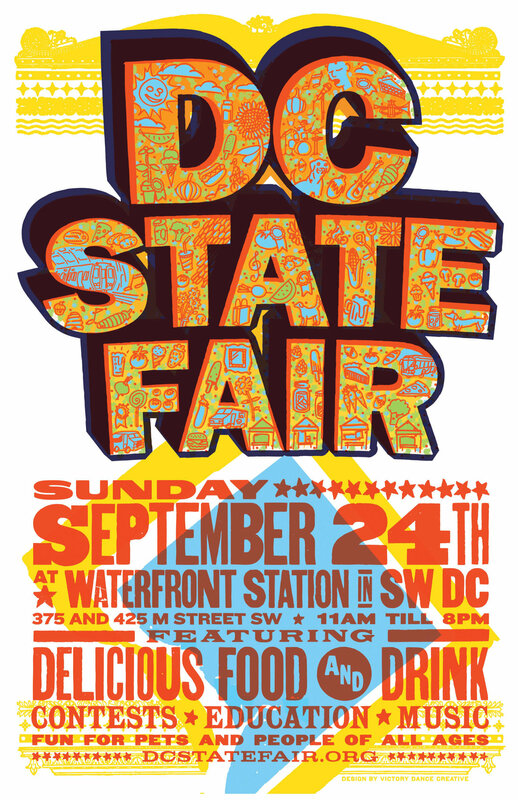 We’ll Be At The DC State Fair! 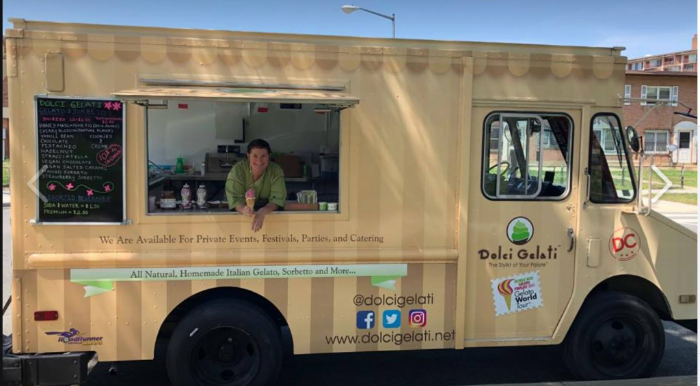 The DC State Fair is a free showcase of the District’s agricultural and creative talents and a daylong (11am-8pm) celebration of all things homegrown. This year, the Fair will be in our backyard, at 375 and 425 M Street SW. For the first time, we’ll have a table there to show off our garden goods. We’ll be tabling from 11am-5pm, and will have our final hour in the garden, from 5-6pm. The Fair comes right around the time we’ll be harvesting our peanuts, so we’ll showcasing, Farmer Coy’s favorite comfort food snack, boiled peanuts! Do you have additional suggestions for items we can display? Food, flowers, art? We’re all eyes and ears and can get the necessary materials, just let us know. If you’d also like to volunteer to sit at the table for a little bit, that’d be great as well. 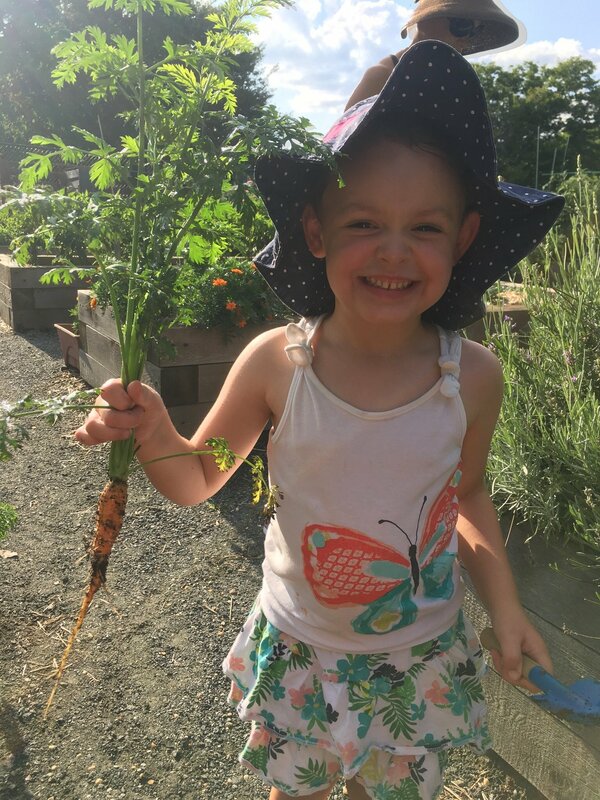 Although we planned on harvesting all our carrots yesterday, we chose instead, to harvest them as volunteers want them. Carrots of the orange and purple variety will be available all this week, so come and get them! Last Thursday, we took over the Instagram page of the Southwest Business Improvement District (@SW BID). Thank you to everyone who let us photograph or interview them — I think we gave the Instagram world a good glimpse into our garden activities. if you haven’t already, head over to their Instagram page and check out the posts. You can also check out all the interviews in one YouTube video here.